Are you sick of eating the same, boring salad every day? Why not shake things up and give your leafy meals a healthy skin boost with these good-for-you, anti-aging ingredients? Here are a few salad ideas that not only satisfy your hunger pangs, but are also great for your skin as well. Not only are strawberries a sweet addition to your greens, they are also packed with vitamin C – about 150 percent of the daily recommended intake. An American Journal of Clinical Nutrition study that found that vitamin C may help ward off wrinkles and skin dryness caused by aging. 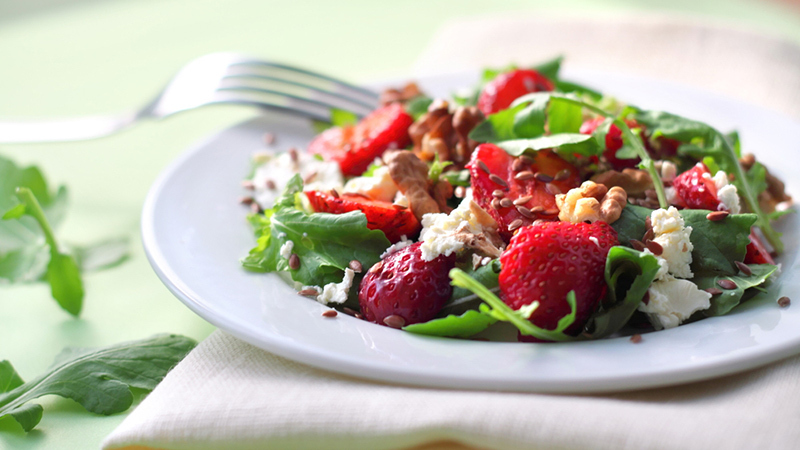 Nosh on this strawberry pick: strawberry salad with poppy seed dressing. Avocados aren’t just for beautiful paleo egg bakes on Instagram; they’re also excellent for your skin. The pitted fruit is loaded with monounsaturated fat, whish has been shown to boost nutrient absorbption from the other ingredients in your tossed salad. It also helps with skin hydration. 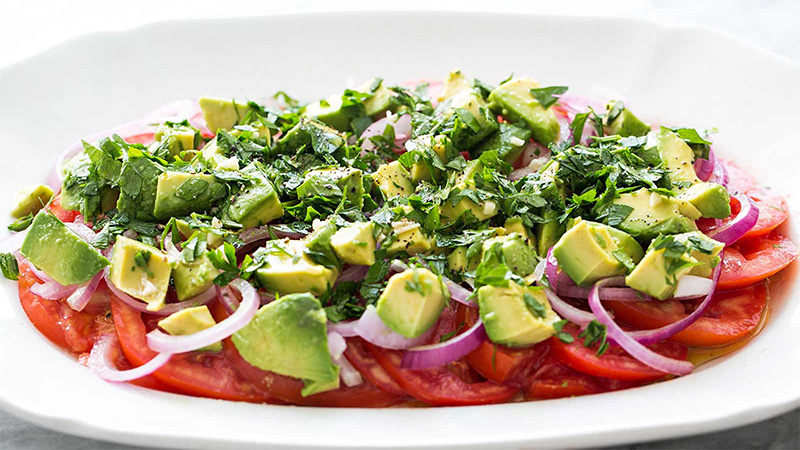 Try avocado in a salad like this: Tomato, onion and avocado salad. Iceberg lettuce is all well and fine, but you’d do better to power up your lunch with some skin-healthy kale. The phytonutrients in kale can help protect the skin against sun damage, plus, kale contains beta-carotene and lutein, which helps boost skin elasticity. 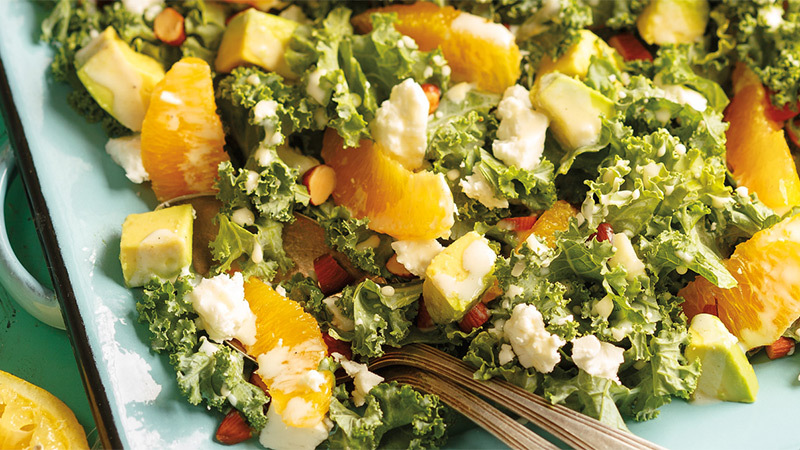 Make kale your salad base with this citrus kale and avocado salad. Why not add chopped brazil nuts to your salad instead of the regular ol’ croutons for crunch and flavour? Droz.com says that these nuts contain the antioxidant glutathione, which repairs cell damage and prolongs the aging process of skin. 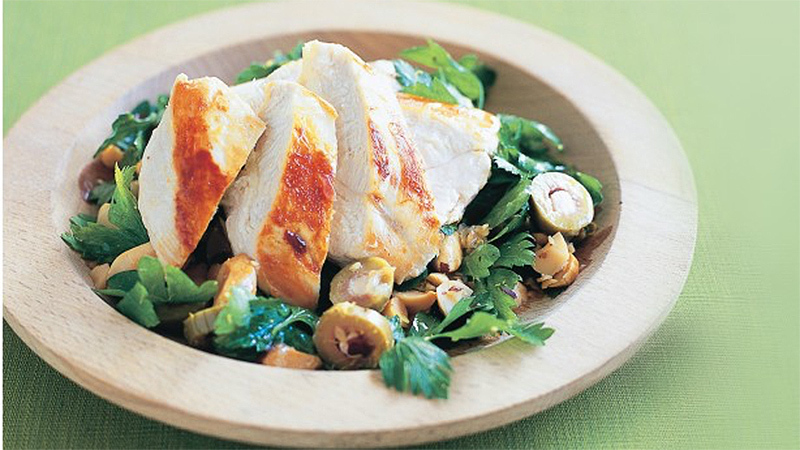 Go nuts with this chicken and Brazil nut salad recipe. You would think watermelon is mostly water, but there are some powerful nutrients inside, too. Watermelon contains beta-carotene and lycopene, which can help repair damaged cells from sunlight. 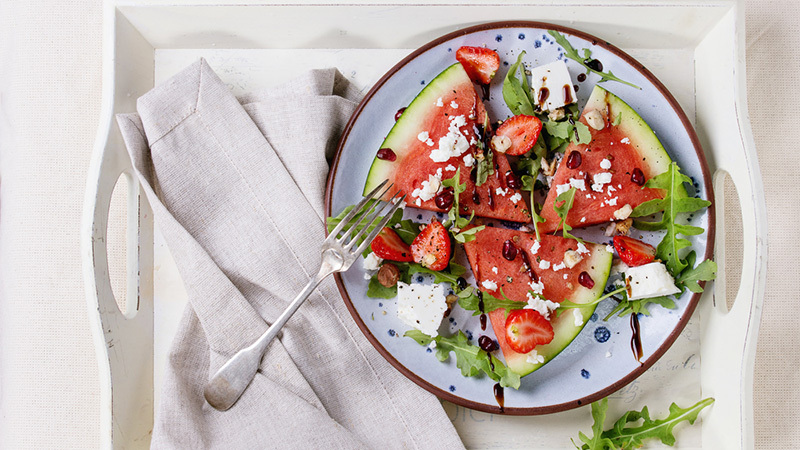 Get fresh with this watermelon salad with balsamic reduction. A piece of salmon on top of your leafy greens is a no brainer. Not only will the protein stave off hunger, but it’s also good for your skin, as the omega-3s found in fish helps keep moisture in. 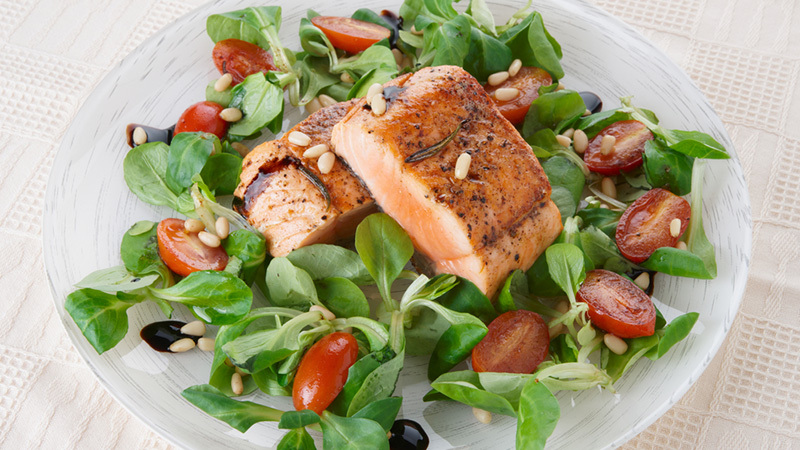 Try this fishy roast salmon salad recipe on for size. Ginger is good for your tummy and your skin. Not only does the spice help with nasea, but has anti-inflammatory properties, helping sooth red and puffy skin, which are signs of inflammation. Enjoy ginger on your greens, with this restaurant-style ginger salad dressing recipe. Edamame and tofu are perfect salad toppers. Why? Soy contains hyaluronic acid, which is a beauty geek’s fave and can be found in the ingredient lists for moisturizers, masks and serums. It works by attracting moisture to skin and giving it that plump and firm look. 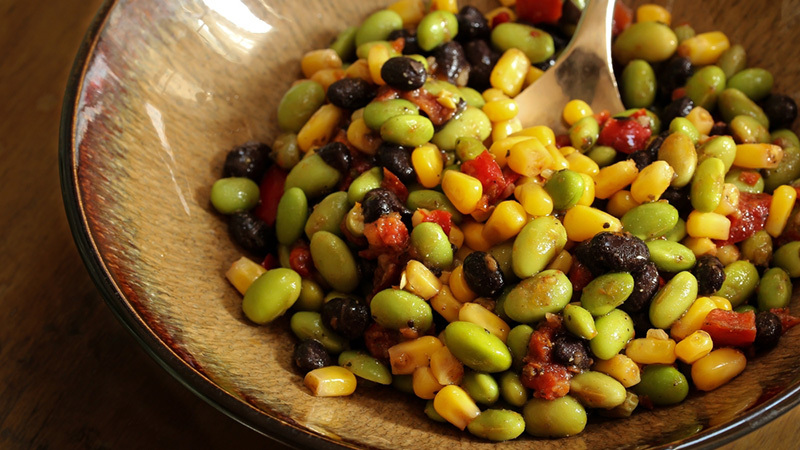 Go for this edamame salad recipe. You’ll want to turn your salad bowl into a rice bowl after you read this: Brown rice contains phytoceramides, which protect the outer layer of skin to keep it firm and smooth. Use cooked, cold rice as a base to any salad. 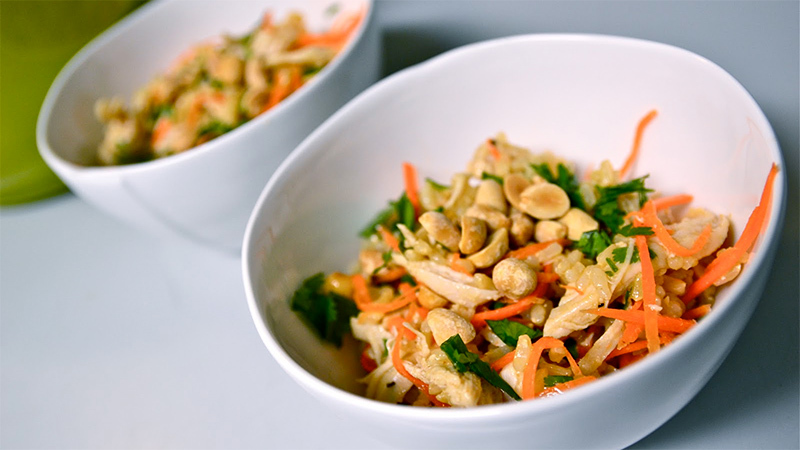 Try this sesame brown rice salad with shredded chicken and peanuts. 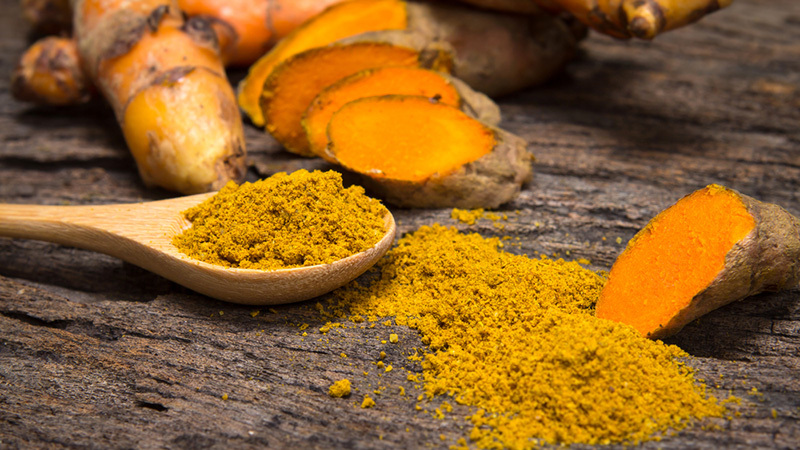 Turmeric is a buzzy spice that boasts a whole host of benefits, but when it comes to your face, turmeric contains curcumin, which gives it that bright hue and slows down the progress of wrinkles and fine lines. Marieclaire.com also reports that it protects skin cells from free radical damage, too. 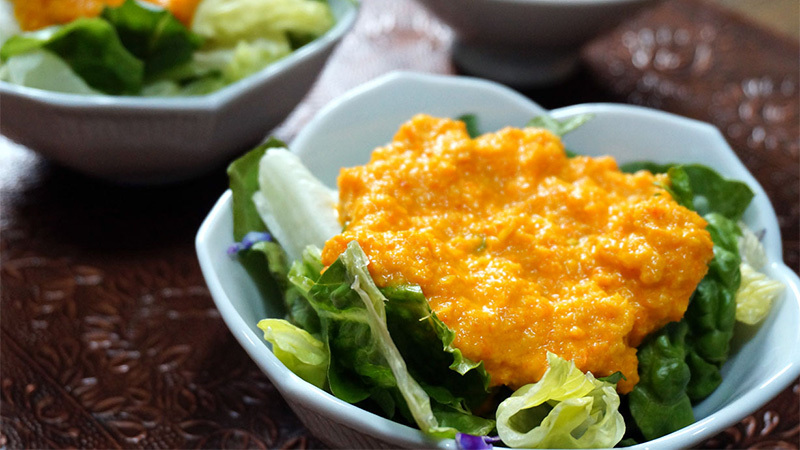 Spice up your greens with this turmeric tahini dressing. It is nice experience to read this article. Thanks for sharing the list of anti aging foods.